The Kelley Blue Book is a well-respected name in automobile valuation, but unfortunately, this resource is not available for Canadian used cars. If you own a used car in Canada, you'll have to use other resources to find out how much your car is worth. According to CarsDirect, the Kelley Blue Book is the established authority for used car values in the United States. However, the Kelley Blue Book doesn't have a direct counterpart in Canada. There is such a thing as the Canadian Blue Book, but it focuses on values for small motorized vehicles like snowmobiles and motorcycles. If you're a car owner, this valuation tool won't help you. It does not contain information about automobiles. 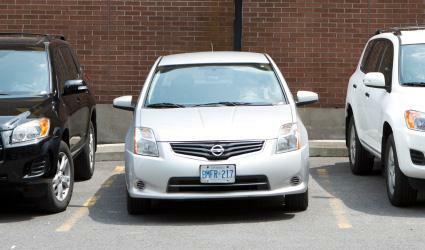 Although the Canadian Blue Book exists, you can't use it to find the value of a used car. However, there are a number of resources that can help you appraise your vehicle. In the end, you'll have the information you need to sell your vehicle, find the value of your car for importing to the United States, or purchase a used vehicle for a fair price. While there are lots of used car price guides for the United States, there are far fewer guides for Canada. With that said, many of the U.S. consumer guides now have dedicated Canadian guides in addition to regular price listings. If you know where to look, you can find some excellent reviews and prices for Canadian used cars. The following websites are a few of the best resources available to look up the list price for a particular year and model of a Canadian car. Consumer Reports offers this very useful listing of 2009 values for most of the top makes and models. The list provides the estimated dealer price for that year. Obviously, as time goes on, these prices will drop. CanadianCarPrices is a valuable resource to look up "Black Book" data on used car prices in Canada; unfortunately, the service is not free. However the site does provide some informative articles on extended warranties, insurance, vehicle history and more. MonsterAuto.ca is a Canada-based car resource site for new car prices, but it is also a marketplace for selling used vehicles. By searching through the "Find a Used Car" section, you can identify market values for any used car. VMR Canada is probably the best source for used car pricing. By drilling down through the year, make and model of the car you're looking for, you receive an estimated valuation, as well as the ability to modify the value based on car add-ons and features. While searching through the resource websites for estimated car prices is a useful exercise, you will most likely find a much more accurate market value for your vehicle by searching through existing classified listings. The following websites are the best online used car classifieds for the Canadian auto marketplace. MotoSeller is another useful classified ad website. It covers more than just cars; it includes boats, RV's motorcycles and more. The size of the online community and number of listings make it a fantastic place to do research for used car prices in Canada. AutoCatch is a very well designed website that lets you search for a Canadian used car in a Google-like search form. You can search for a used car by location, make, body style or price. It covers all of Canada, making it an invaluable tool in your used car price research. AutoNet is another Canadian auto research website that provides areas for new car or used car pricing, reviews, news and much more. The used car research area lets you search by make, model, body style and more, and it lets you focus on a specific area of Canada. Since the majority of online resources for car prices are based in the U.S., it isn't always a simple matter to identify what a particular older model car will sell for in Canada. However, with the resources listed above, you can quickly identify the exact car that you're looking for and get an accurate estimate of the current market value for that vehicle.